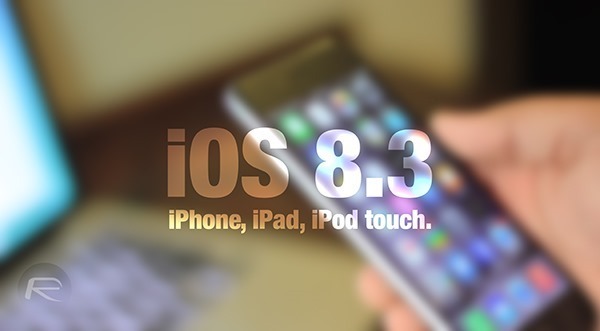 While the world awaits iOS 9 and having just released iOS 8.4, Apple has today ceased signing iOS 8.3, meaning those with iPhones, iPads and iPod touches who want to revert to the second-to-newest version of iOS are now unable to. The move, coming a week after Apple released iOS 8.4 with security fixes and support for Apple Music, means that iOS 8.4 is currently the only version of iOS that Apple is allowing anyone to install on their devices. Apple usually makes such moves to thwart jailbreakers, though iOS 8.4 can already be jailbroken using TaiG although this time around the reason for Apple’s speed in dumping iOS 8.3 is likely a combination of the inclusion of Apple Music, and the arrival of security fixes under the hood including one that prevents iOS from being crashed by a simple text message. Apple is currently seeding betas of iOS 9 to developers, with the final version set to be made available to everyone alongside new iPhones come September time. It is unlikely that Apple will release a new build of iOS between now and then, meaning iOS 8.4 is probably going to be the only path for anyone restoring a device between now and September. 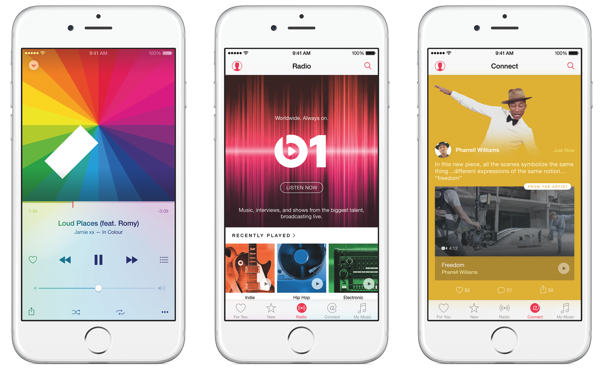 When it went live on June 30th, iOS 8.4’s headline addition was Apple Music, the company’s first foray into the world of streaming music services. Alongside an ambitious 24/7/365 live internet radio station dubbed Beats 1, Apple Music goes head to head with Spotify and Rdio, with Tidal also squarely in its sights. If Apple is indeed keen to make a go of Apple Music, it isn’t beyond the realms of possibility that making sure everyone has access to it was chief behind Apple’s decision to dump older versions of iOS. Apple has been pushing Apple Music via the App Store of late, and that push only makes sense if users don’t need to do a software upgrade in order to try the service out. If you’re already on iOS 8.3 and jailbroken, then you might want to update to iOS 8.4, as it brings with it a load of fixes, performance enhancements and of course Apple Music as well. We have a complete guide on how you can update your already jailbroken iOS 8.3 device to iOS 8.4 and jailbreak the right way, so be sure to check that out here: How To Update iOS 8.3 Jailbreak To iOS 8.4 Jailbreak The Right Way. While you are at it, it’s worth saving your SHSH blobs too on iOS 8.4 using a tool like TinyUmbrella to enable you to downgrade back to iOS 8.4 in future. On a previous version of iOS? Want to just upgrade to the latest and greatest firmware version? Get iOS 8.4 from here: Download iOS 8.4 Final IPSW Links For iPhone And iPad. now because of Apple stop signing 8.3 .. i can’t restore 8.3 jailbroken iphone 5 .. i have check the host file but it didnt worked! PLEASE HELP .. The best iphone սոⅼοсking service around is just google atttiphooneuunlocking.